More so than any digital source I’ve heard in the past, the PAW Gold Touch embodies reference with remarkable ease. The tone it flaunts is largely transparent – as indicated by the blank canvas it allows gear upstream to ultimately shade – and its technical foundations are nothing short of astounding. Its soundstage expansion isn’t endgame, but the layering, separation and detail achieved within it remains some of the best I’ve ever heard. Without the aid of an agitated treble, the Touch relies on extension, speed and balance to bolster its resolution. As a result, the transparency it achieves is done so effortlessly; a well-practiced, smooth and easy routine. Unlike its predecessors, the Touch strays away from flash. But ultimately, the grace and sophistication weaved throughout its frequency response is responsible for its success. The Touch’s bass response is strikingly clear. Opting for a more neutral tone, it perhaps isn’t as warm or sumptuous as Sony’s WM1Z, for example. There’s an emphasis on definition, separation and clarity, but that doesn’t mean it’s devoid of any fun, either. Linear extension throughout the sub-bass provides a healthy dose of impact. And, it rises (or drops) in accordance with whatever lies upstream. With dynamic drivers, it’ll match their physicality and decay, but add no more. And, it keeps up with balanced-armatures, without coming across lean. But with both, there’s always clarity and finesse. With upright basses or toms, a part of me may miss that woody warmth. Ultimately, what the Touch guarantees is zero bottleneck – a bass you can set with your IEM of choice from pristine to hog wild without compromise along the way. This restraint then pays dividends as we progress further upwards. Without warmth emanating from the low-end – nor glare from the treble – the Touch’s midrange remains largely neutral. Though, where it’s least transparent throughout, an upper-midrange tilt does determine its inherent timbre. Instruments are neutrally-positioned within the soundscape, but they project strongly. There’s an energy imbued within them that translates to an extra zing in vocals, an added roar in electric guitars, etc. But, the lower registers remain calm, which impede a grunty-er, heftier response. Male baritones won’t have maximum gravitas, tom-toms and kick drums won’t bellow as much as they’ll thwack, and pianos will ring rather than slam. It’s a more elegant delivery of oomph that contrasts the explosiveness of Lotoo’s previous offerings. But regardless, the Touch continues to deliver in the technical domain. Micro-dynamic energy is perhaps the best I’ve heard from a digital source, Tiny nuances pop without resorting to treble peaks. Rather, it’s done via a pitch-black, stable background. So, those micro-details never feel forced. They play their role before vanishing without a trace. 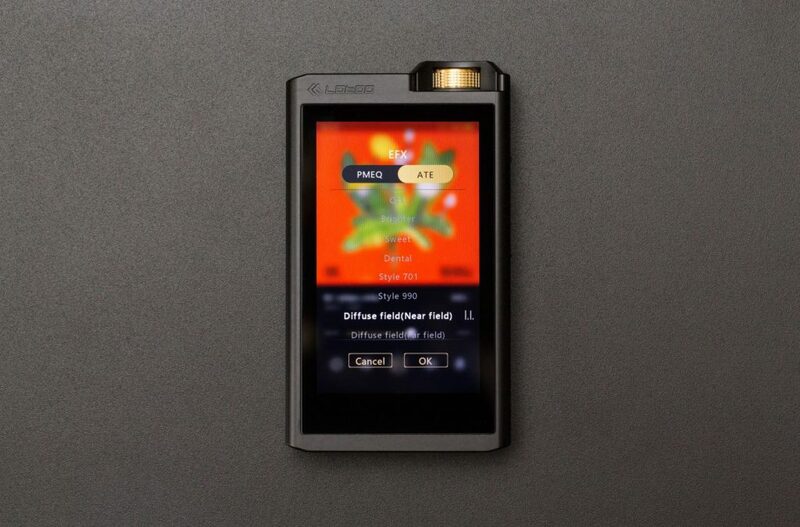 The player has an average sense of depth – average for a summit-fi flagship, mind you – but the layering it flaunts transcends that completely. Instruments are layered in front of and behind each other with pockets of clean air in between. The result is a three-dimensional soundscape filled with data to analyse and enjoy. There’s a healthy amount of body to the mids as well. There’s a meatiness to instruments; wetness to feather the line between transient and decay. As a result, clinical separation does not lead to clinical sound. Instead, it’s a balanced, natural image with masterful technique underneath. The treble is where the Touch is most refined. Sources I’ve heard often struggle in the top-end. iBasso’s age-old DX50 came across agreeable, but dull. Sony’s WM1A had articulate transients that suffered from a case of digital-itis. Lotoo’s PAW Gold Touch manages to achieve a wonderful balance of both through technical ability and restraint. The Touch’s top-end possesses heaps of headroom, but refrains from testing it the slightest bit. The result is a treble that’s articulate, open and fast without seemingly lifting a finger. It’s a free sound that can only be described as refined; second nature. Pair that with a smooth timbre and what you get is a smooth, elegant release of detail. The tone overall is neutral and lower-treble bite does stick out a hair. But, the sheer ease with which those notes are handled – along with the PAW Gold Touch’s aforementioned technical skill – bill a treble response that’s as effortlessly capable as it is stringently controlled. Switching between the two outputs, I hear identical tonal balances. 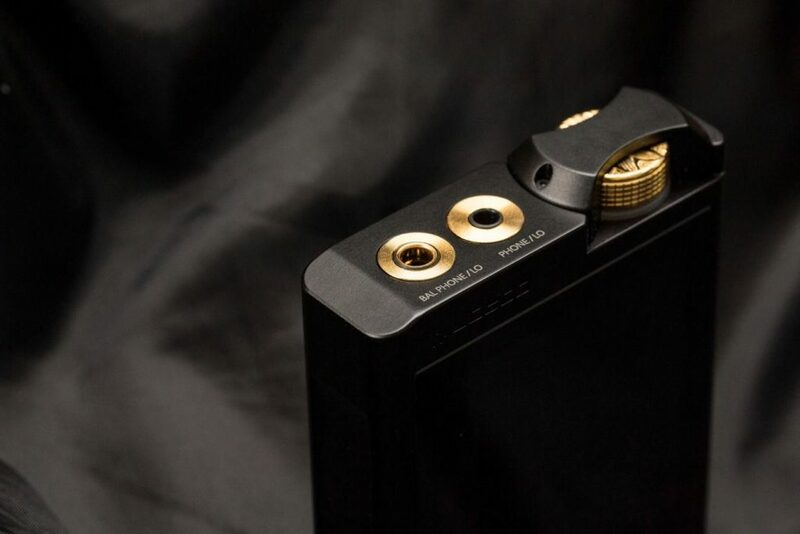 This is unlike my Project-K-modded Sony WM1A or my Astell&Kern AK70-Kai, where you’re almost allowed two different signatures with the two outputs. In terms of timbre, note structure and positioning, balanced and single-ended are identical to my ears. On one hand, you don’t get that one last morsel of customisability. But on the other, you’re guaranteed consistency. I don’t hear a change in loudness either. The differences I do hear are in expansion and layering, especially. The 3D layers on balanced that fanned out along the x- and z-axes sound almost smushed together on single-ended – not congested per se, but compressed into a single file. On Snarky Puppy’s Jefe, as the track builds from just drums and guitars to the addition of horns, synths, and percussion, you get the impression on balanced that each extra layer sits separate from the ones that came before. Essentially, you experience the satisfaction of hearing the track build in size. On single-ended, each successive track sounds like it was plopped squarely on the previous one. So, the track doesn’t necessarily get bigger – it just gets more crowded. This is also evident in imaging. On balanced, you can hear the drums panned hard-left-and-right and the guitars at 10 and 2′ o clock, then the synths at 11 and 1, and finally the horns at the centre. On single-ended, it’s noticeably harder to discern. Manual equalisation has been a longtime staple of Lotoo’s digital audio players. The PAW Gold and PAW 5000 were lauded in particular for how effective their EQ implementations were, despite their button-dominated UIs somewhat hindering ease-of-use. I’ve personally never used either of the previous PAW devices, but I have spent countless hours manipulating EQ on my various digital audio workstations – whether it be Logic Pro, Pro Tools or Cubase. As someone who’s well-versed in those plug-ins, the PAW Gold Touch’s PMEQ application was impressively familiar. It’s a 5-point EQ, which to me is more than enough for anyone. Like professional EQs, the user is allowed to specify the target frequency, amplitude change and bandwidth. You’re also allowed to specify the filter type – high-pass, low-pass or band-pass. Despite the equaliser’s impressive specificity and attention-to-detail, I was disappointed to find the touch screen (i.e. the DAP’s namesake) wasn’t integrated into the interface at all. 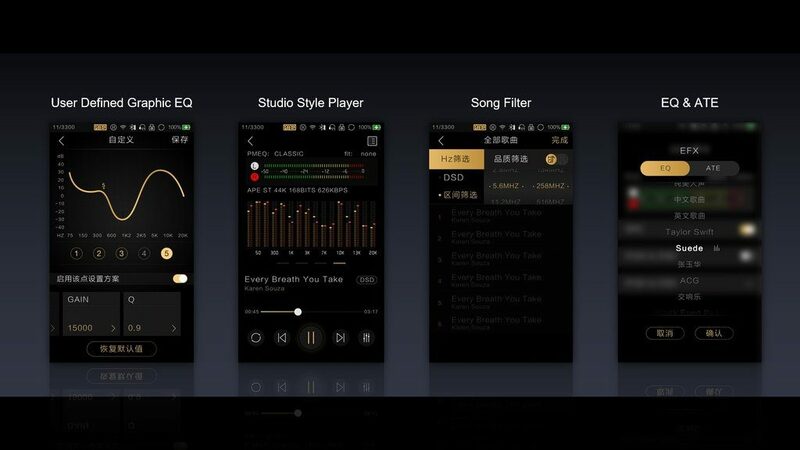 Unlike Astell&Kern or Sony’s – albeit sonically inferior – EQs, you’re not given the option to draw your intended curve. Instead, you’re forced to manually (and tediously) enter values into each parameter. To me, this is a missed opportunity in ease-of-use. But nevertheless, the sheer customisability and effectiveness of the equaliser remains marvellously impressive – only a few UI fixes away from being gosh darn perfect. ATE (or Acoustic Timbre Embellisher) is another form of sonic customisation built into the PAW Gold Touch. Brighter attenuates the low-end, positioning it further back in the mix. The result is a cleaner, leaner signature with less warmth permeating the soundscape. I wouldn’t call it brighter in tone per se, but it certainly is less full. Sweet is somewhat of a low-pass, where the upper-mids and treble take a step back. Notes sound thicker and fuller with greater bloom to the lower-mids. With both ATE filters, what’s most impressive is that they seem to only alter the positioning of instruments. Brighter doesn’t sound anaemic or insubstantial, neither does Sweet sound congested or rolled-off. It’s all naturally done. The vaguely-named Dental sounds like it rolls-off the uppermost registers, resulting in a fuller, more saturated stage. Mid-bass impact seems to receive a slight bump as well. Of the three, this is the setting I personally find least useful, but it may find its place with brighter transducers. Style 701 (perhaps modelled after the AKG K701) heavily attenuates the mid-bass for a lean, neutral response – leaving the low-end more melodic and airy than impactful by any means. This converts my Custom Art FIBAE Black into a strict studio monitor, which I may find useful in the future. Style 990 (perhaps similarly modelled after Beyerdynamic’s DT990) is the complete opposite. It’s a strong low-pass that emphasises low-end bloom over the rest of the presentation. It’s more blubbery than Dental, but again, it may find its place among bassheads. Near Field brings the soundscape inside the head, creating an inside-out sort of sensation. My experience suggests this setting may involve some phase manipulation, but it does remind me of the Avantone and Focal near-fields I have in the studio. With reference-grade in-ears, this setting is preferred when I’m balancing vocals in a choir mix, for example. Far Field comes across more artificial to my ears. It sounds like attenuations in the mid-bass and upper-mids to create a perceivably more distant image, but it comes across less coherent and transparent. Nevertheless, ATE as a whole brings a slew of customisation to the table. Although some work more than others, I find implementation as a whole to be both effective and non-invasive. The current set is impressive as is, and I can only imagine more to come in the near-future. The Phantom is one of the most sensitive in-ear monitors in my collection. Although that means it can be driven out of any conceivable device, it is prone to hissing as well. 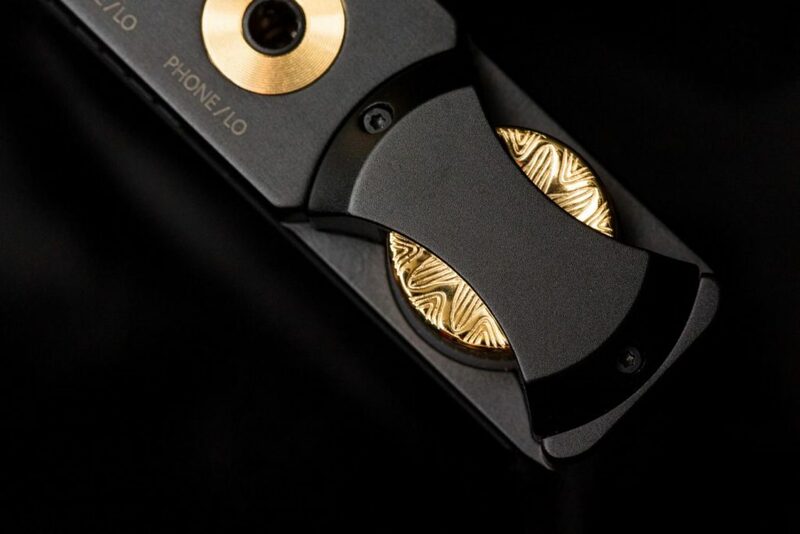 On every source I’ve heard them through – whether it be mixing consoles, portable amps or high-end DAPs from Sony, Onkyo and Astell&Kern – the Phantom will dig into their noise floors. Although the faintest whiff of a hiss is audible through the PAW Gold Touch, Lotoo’s flagship is perhaps the first source where I’d consider the noise negligible. Upon plugging in, the hiss blends into the background immediately. And when music starts playing, it’s practically non-existent; even in pockets of silence. Given the Phantom’s sensitivity, a volume of 25 out of 100 on high gain is where I tend to keep it, leaving tons of headroom for the Touch to perform. Vision Ears’ VE6XC is perhaps a notch below the Phantom in sensitivity. It’s easy to drive and capable of sussing out hiss, but not to the degree of the Empire Ears co-flagship. And sure enough, the VE6XC does not hiss at all through the PAW Gold Touch. Whether music is playing or not, the noise floor is entirely indiscernible – a fantastic achievement for Lotoo. To achieve an enjoyable volume, the VE6XC requires 28-30 steps on high gain out of 100. Like the Phantom, the VE6XC is a dense-sounding monitor that benefits from the Touch’s clean-yet-sophisticated neutrality. 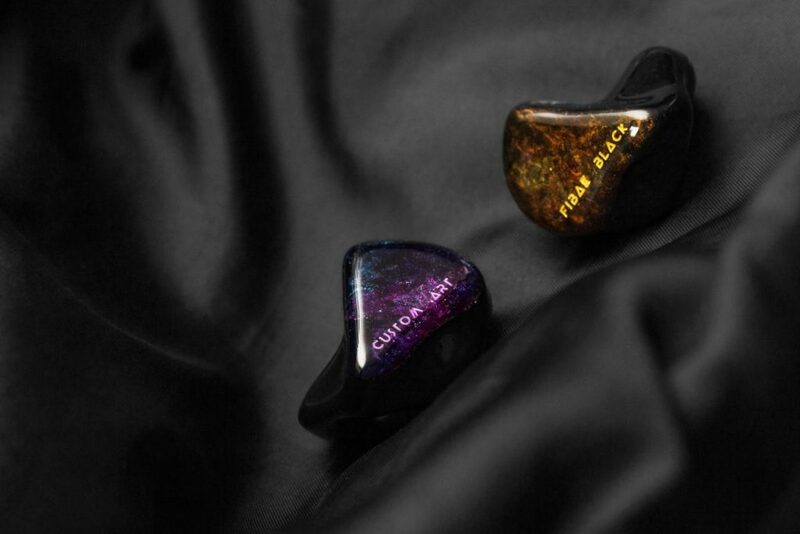 Out of Lotoo’s flagship, both in-ears maintain the delicate, organic, human factor that make them what they are. But, the Touch allows them more headroom to breathe and play. So, you retain that charming musicality, now with zero restraints in the technical realm. Custom Art’s FIBAE Black is a single-driver monitor. But among the custom in-ears in my collection, it’s perhaps the most difficult to drive. The headphone outputs on both my Soundcraft monitor mixer and my Yamaha CL5 barely power it at max volume. But as if to boast its superiority, Lotoo’s PAW Gold Touch pushes it without breaking a sweat. At 40/100 on single-ended mode and high gain, I get very listenable volumes with no hiss. As the name suggests, the monitor also comes equipped with Custom Art’s FIBAE (Flat Impedance Balanced Armature Earphone) Technology. Essentially, it allows the monitor to maintain an identical signature no matter the source. As it entirely skips the colouration of the amp section, it makes for a transparent DAC evaluator. Through the Black, the Touch’s transparency, resolution and dynamics truly shine through – offering an impactful sound, whilst maintaining excellent headroom and composure at all times. 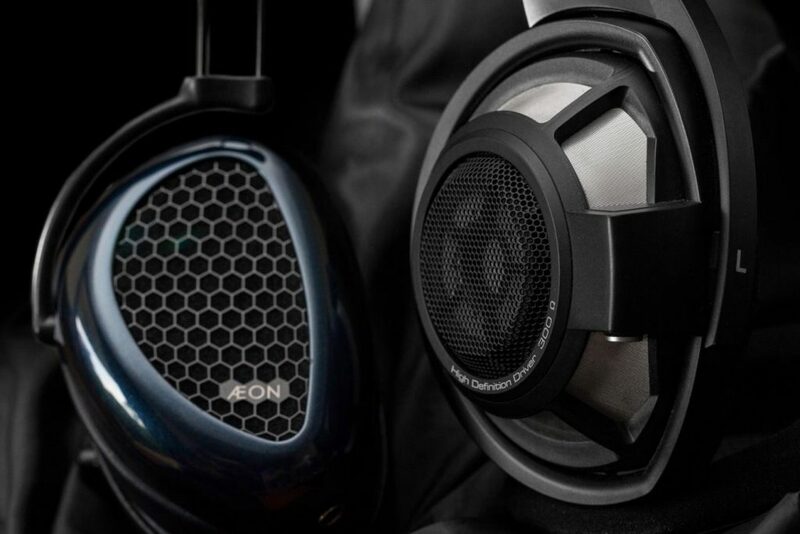 MrSpeakers’ AEON Flow Open is a relatively easy-to-drive headphone. Dan Clarke developed it to be mobile-friendly, after all. Obviously then, the PAW Gold Touch powers it with ease. On single-ended with high gain, 55 steps out of 100 is perfectly reasonable; akin to around 9 o’clock on my Cavalli Audio Liquid Carbon desktop amp. 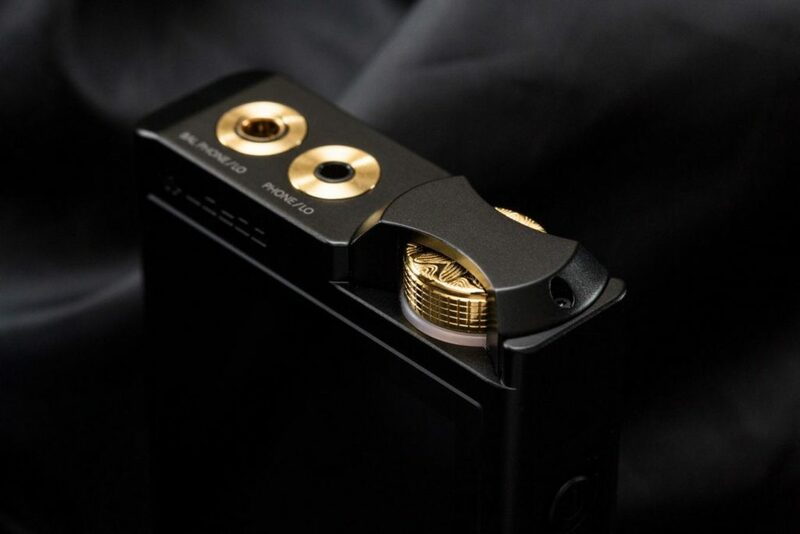 Compared to the Liquid Carbon, the PAW Gold Touch definitely gives the AEON Flow Open a freer, more open stage. After all, the Cavalli Audio amp emphasises dynamism and impact above all. So, if you own an AEON Flow Open and are looking for a source to boost its imaging and expansion, the Touch is a very viable option. With that said, the Touch doesn’t quite give the AEON the warmth down low that the Liquid Carbon provides. So although the Touch is capable of making the most out of that planar bass impact effortlessly, it’s a bit top-heavy in tone for my tastes. But, I’m sure others may enjoy this colouration. An amp-dependent headphone like Sennheiser’s HD800S is perhaps the PAW Gold Touch’s greatest test. Volume-wise, the Touch continues to perform – merely requiring 50 out of 100 steps on high-gain in single-ended mode to reach an acceptable loudness. Obviously then, this leaves quite a bit of headroom, resulting in a sound that comes across neither saturated nor forced. However, I do feel the headphones have more potential to spare spatially. The image the HD800S produces is well-layered, well-separated and detailed, but it isn’t as open or free-sounding as it would be on top-flight desktop amplifiers. But of course, this was the expected outcome. Lotoo should still be lauded for their admirable performance. Like the AEON Flow Open, the tonal combo isn’t necessarily my cup of tea. Although the Touch refines the HD800S’s treble quite effectively, the top-end tilt does leave the headphone sounding lean and meagre down low. This is a combo that’ll suit trebleheads more than others. But nevertheless, it makes a strong case for the Touch’s raw power.